Sure, you can go out and buy some spackle and a wire mesh patch to repair a hole in the wall—or you can use what you happen to have lying around at home with these 3 creative fixes guaranteed to leave your wall looking smooth again. While drywall is highly durable, it’s not indestructible. Over the years, interior walls take a beating, speckled with everything from nail nicks to doorknob dings. During your tenure as homeowner—or even as an apartment renter—you’re bound to end up with at least one unwanted hole in the wall. But don’t despair—repair. 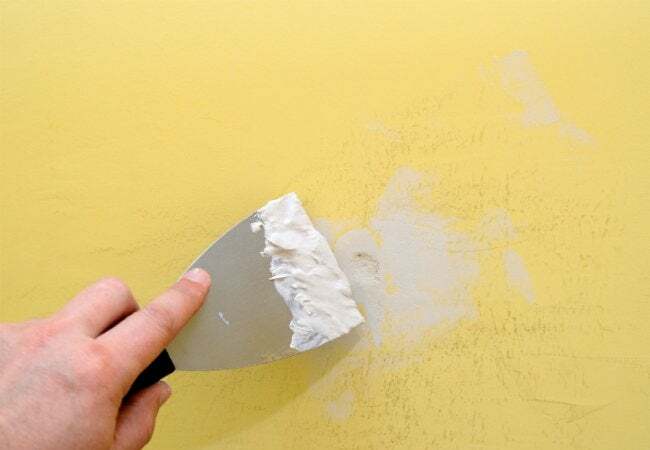 Read on for three unexpected solutions for your unsightly wall blemishes that won’t have you running out to the store for supplies. Need to fill a nail hole fast? For small holes up to one inch wide, look no further than your bathroom’s medicine cabinet. Believe it or not, toothpaste works wonders. When the paste dries, it forms a finish similar to spackle. Just squeeze the white paste (not the blue gel) into the hole, and smooth it over with a putty knife. 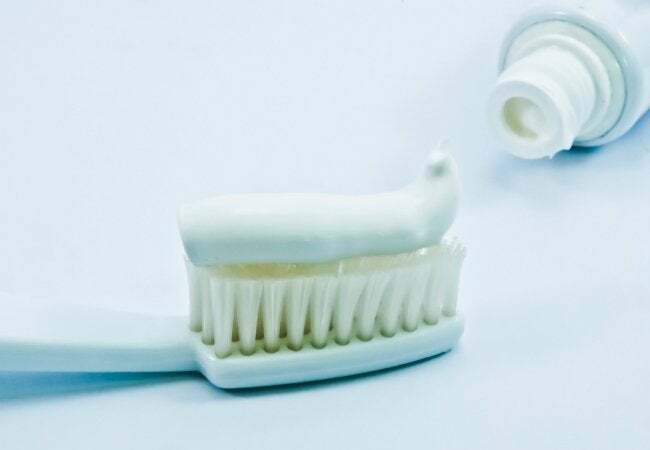 If you don’t have the right paste, grab a bar of soap from the bathroom instead. Simply dampen the surface of the soap with water, then rub the bar over the shallow hole until filled. Not only will the damage seem to disappear with either of these fix-its, but your walls will smell wonderful too. 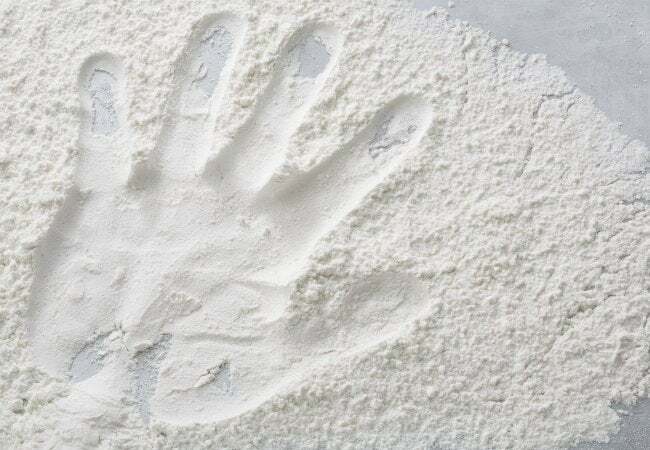 For an even stronger, faster way to repair a hole in the wall, add a little baking soda to a drop of super glue to form a super-strength sealant. After quickly combining these two products with the help of a toothpick, immediately apply the mixture directly to the wall. After it dries, start sanding the hard, plastic-like finish until it’s flush with the wall. Not only is this fix effective for small holes, but it can solve cracks in corner walls too! 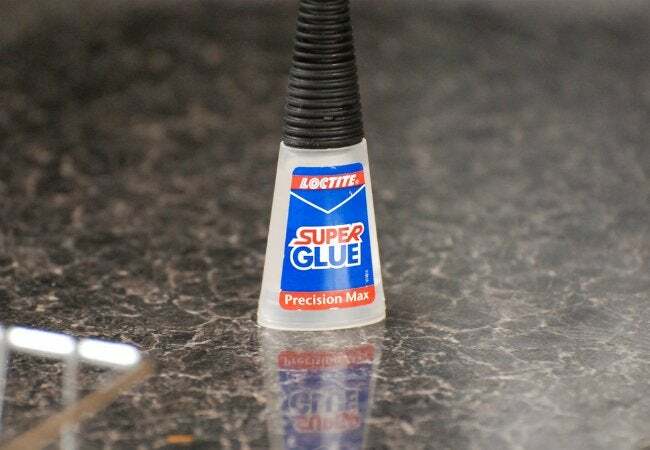 One word of caution: Wear gloves and be sure that this super-strength, fast-drying glue never comes in contact with your skin. Otherwise, you may have an even bigger problem on your hands than a hole in the wall. For a doorknob-size hole roughly two to four inches in diameter, you’ll need more of a patch to clean up your damaged wall. Make yours from scratch with just a few simple kitchen items, including a recycled cardboard cereal box. Start by cutting a thick piece of cardboard into a square that’s slightly larger than the hole you aim to fix. Then, poke two small holes through the center of the cardboard cutout and thread a short string in through one hole and out through the other. Push the cardboard through the wall hole keeping the string ends facing you and ensuring that all corners sit behind intact drywall. Pull the strings tight to hold the cardboard in place. Next, mix together one tablespoon flour, one teaspoon salt, and a few drops of water to form a paste. Apply the mixture heavily to your cardboard patch so that it oozes around the square’s edges and binds it in place to the drywall. Allow the paste to set, and then pull out the string. Finish the patch with a second coat of the flour-based paste, and smooth it out flush with the surrounding surface.